A lovely new podcast, produced in July 2018 by Susan Stone, and presented by Katy Derbyshire and Florian Duijsens. Our podcast producer Susan Stone tells the story of Lotte Reiniger, a true pioneer of animation (and psaligraphy!). 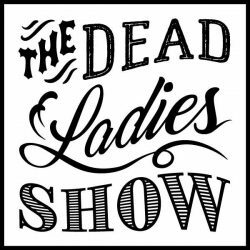 At the end, Dead Ladies Show co-founders/hosts Katy and Florian chat with Susan about exciting developments and podcasts. Also available on Soundcloud, iTunes, RadioPublic, Pocket Casts, Stitcher, and Acast. Here’s Lotte, cutting up a storm. Her first animated work was called Das Ornament des verliebten Herzens [The ornament of the heart in love] (1919). This is the Tricktisch she developed, and that’s Carl there at the top, working the camera. Lotte reveals the Marquise’s secret. These are some highlights from The Adventures of Prince Ahmed (1926), replete with flying horse, evil magician, and beautiful helpless harem girls. Lotte in her studio in the Abbey Arts Centre, London, still cutting up a storm. Lotte remade her German fairytale series for British and US audiences, including the gorgeous Thumbelina below in 1955. She stopped animating in the 1960s after Carl’s death, but returned to her work in 1975, creating three more films before her death. If you want to know more about Lotte, start with Lotte Reiniger: Pioneer of Film Animation by Whitney Grace, check out that Google doodle, and you can buy a DVD copy of The Adventures of Prince Ahmed here. As for her admirers, check out the trailer for Michel Ocelot’s Tales of the Night, and definitely watch Rebecca Sugar’s Steven Universe, a gorgeous TV show that paid tribute Lotte in their episode “The Answer”. Thanks for listening! Check back in September for our next episode. A lovely new podcast, produced and presented in June 2018 by Susan Stone. Our co-host Florian Duijsens gives us the low-down on intrepid Victorian explorer and ichthyologist Mary Kingsley. Plus special guest Binnur Çavuşlu on Turkish writer and activist Halide Edip Adivar. And here’s Mary Kingsley looking lovely and comfortable. To find out more, you might like to start with Mary Kingsley’s little book about hippos, A Hippo Banquet, and then move on to Dea Birkett’s biography, Mary Kingsley, Imperial Adventuress, or the book One Dry Season by Caroline Alexander. Now here are a couple of images of Halide Edip Adivar, including the surviving bust. You can read more about Halide in German, written and illustrated by Binnur herself, at Renk magazine. Part one of Binnur’s series on Turkish heroines is also available in English – hooray! Thanks for listening! Check back in July for our next episode. For our 17th show, we have three impressive women writers to tell you about, all of whom did something else on the side: a Berlin salonnière, a political activist, and a fanatical journal-keeper and traveller. Brought to you by award-winning writer and translator Isabel Cole, globetrotting journalist Binnur Cavuslu, and regular Katy Derbyshire. All held together, of course, by your beloved co-host Florian. Expect surprises, shocks, inspiration, dedication, and perspiration – as we celebrate three women who lived totally different but equally impressive lives at the ACUD Studio on Monday, 11 June at 8 pm. Presented in a messy mixture of English and German. €5, or €3 reduced entry. Now generously supported by the Berliner Senat. Doors open 7:30 pm – come on time to get a good seat and a good drink! BETTINA VON ARNIM was a countess with a famous brother and a famous husband, but let’s not hold that against her. She fought the tyranny of conventions from an early age, falling out with Goethe and later writing a book of their fake “correspondence.” She composed songs, published dissident writing and also genuine correspondence, and hosted all the Romantic dudes at her salon. Presumably after her seven children went to bed. Bettina used to have her face on a banknote and once had a short-lived settlement in Texas named after her. Now there’s an ambition. HALIDE EDIP ADIVAR was a novelist, women’s rights campaigner, and activist alongside Mustafa Kemal Atatürk. Her novels broke boundaries in Turkish literature, presenting a new type of woman with a mind of her own. She helped set up Turkey’s first feminist organization and gain women the right to divorce – and then she went ahead and left her first husband while she was at it. After a falling-out with the nationalists, she taught at universities in New York, Delhi, and Istanbul. Halide rather outdoes Bettina in death, what with having a crater on Venus in her name. ANNE LISTER was a philandering lesbian and writer of 24 volumes of diaries in pre-Victorian Yorkshire. She wooed and bedded various upper-class ladies in search of true love, or at least a wife who could keep her in comfort. She went against sartorial convention, too, wearing only black except when in the presence of royalty. Anne was a very adventurous traveller, fond of climbing mountains and attending balls in out-of-the-way places. Her travels took her all the way across Europe and along the frozen Volga to Tbilisi – in a carriage with a broken window. She has a mountain pass in the Pyrenees named after her, which is better than nothing. Our latest podcast, produced and presented in May 2018 by Susan Stone. 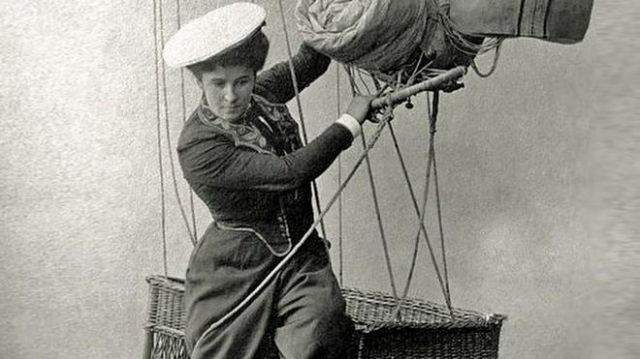 Listen to the now-familiar tones of co-host Katy Derbyshire telling you all about a dead Berliner, Germany’s first lady balloonist and parachutist Kaethe Paulus. Plus our other host, Florian Duijsens, with some bodacious book tips. Also available on Soundcloud, iTunes, RadioPublic, and other podcast purveyors. Here’s Kaethe Paulus doing her audacious thing. Here’s one of the streets named after her, out near Berlin’s one-day future airport. And here’s Kaethe’s baby-daddy, balloonist and lady’s man Hermann Lattemann. For sideburn fans. And here’s Kaethe with one of her more outlandish flying contraptions. Plus a couple of links to Florian’s book recommendations: Here’s the interview he mentions about the reissue of Elsa Lanchester, Herself, which also led him to reading the memoirs of Tallulah Bankhead, Ann Miller’s Miller’s High Life, and Shelley Winters. The excerpt is from the latter’s second memoir, Shelley II. Thanks for listening! Check back in June for our next episode. Our latest podcast, produced and presented in April 2018 by Susan Stone. This time it’s Berlin/Dublin journalist Alix Berber on the original Hollywood vamp Theda Bara. Plus a new short feature highlighting a lovely live lady, singer Pauline Black. Here’s Alix at the show, with Theda Bara in the background. A selection of Theda-themed merchandise and posters from back in the day. Watch the surviving Cleopatra material. Read a less than complimentary NYT review. And admire the costumes she passed on to a neighbour’s daughter. And here’s a photo of Susan’s and Katy’s shoes to finish off. We’ve used music by Lorin Sklamberger and Los Sundayers in this show. Our theme music is “Little Lily Swing” by Tri-Tachyon. Thanks for listening! Check back in May for our next episode. Our latest podcast, produced and presented in March 2018 by Susan Stone. Here we have Berlin-based translator Frances Thoms Provine sharing the story of the American abolitionist sisters Sarah and Angelina Grimké. Here’s Frances at the show. And here are the sisters themselves, Angelina on the left and Sarah on the right. Frances was partly inspired to talk about the sisters by her mom, Nancy Lunsford, a visual artist and songwriter. Nancy very kindly shared her very own Grimké song with us, “Crazy Angelina” – listen to it right here! You can read the Grimké sisters’ essays and letters, published as On Slavery and Abolitionism. Frances also recommends Gerda Lerner’s biography, The Grimké Sisters from South Carolina. Plus, Susan debuts a new segment, Woman of the Hour, where we hear about a Dead Lady who’s been getting some fresh attention. This one features Marjory Stoneman Douglas. Our latest podcast, produced and presented in February 2018 by Susan Stone. This time it’s your beloved co-host Katy Derbyshire again, telling you a lot of things you need to know about the Irish revolutionary Constance Markievicz and how she went from debutante to celebrated freedom fighter. Here’s Constance as Katy first came across her, in Dublin’s St Stephen’s Green. And here she is all dressed up for the Easter Rising. Note the hat. Watch silent footage of Con from British Pathé here and here. For further reading, we recommend Anne Haverty’s excellent Constance Markievicz – Irish Revolutionary. Many thanks to Deirdre McMahon for all her help. Our theme music is “Little Lily Swing” by Tri-Tachyon. Thanks for listening – come back in March for a new podcast! New year, new Dead Ladies! February sees a fabulous array of foregone females dished up for your delight: an award-winning author who taught herself to read and write, a swashbuckling lady sea captain, and an early stuntwoman and inventor. Presented by top Berlin writer Deniz Utlu, amazing translator Laura Radosh, and your regular co-host Katy Derbyshire. All kept on the rails by your other beloved co-host, Florian Duijsens. So get ready to laugh, gasp, and cry as you raise a glass to a trio of inspiring women with us in the ACUD Studio on 13 February, 8pm. Presented in a messy mixture of English and German. €5, or €3 reduced entry. Now generously supported by the Berliner Senat. Doors open 7:30 – come on time to get a good seat! Also, since we last wrote you three (!) more podcast episodes have gone up. Courtesy of our magnificent producer Susan Stone, these present highlights from past events, plus one or two extra bits to delight your ears. Do click through for a listen to Katy on the great poet May Ayim (recorded live in the studio), Florian on the deathless Dorothy Parker(recorded live in Wannsee), and the fab Jessica Miller on surrealist artist/author Leonora Carrington (recorded live in front of you, our beloved audience)! Get them wherever you get your podcasts (and don’t forget to rate and subscribe). Romanian-born Aglaja Veteranyi came from a family of circus artistes. After a decade of being forced to perform as a dancer around Europe, she settled in Switzerland and taught herself German while training as an actor. She went on to run the acting school where she had trained. Alongside her work on the stage, she wrote novels, short stories, poetry, and plays, winning prizes and acclaim. Facing a crisis in 2002, she drowned herself in Lake Zurich. Her work is available in Spanish, Romanian, Hungarian, Slovenian, French, Polish, and English translations. 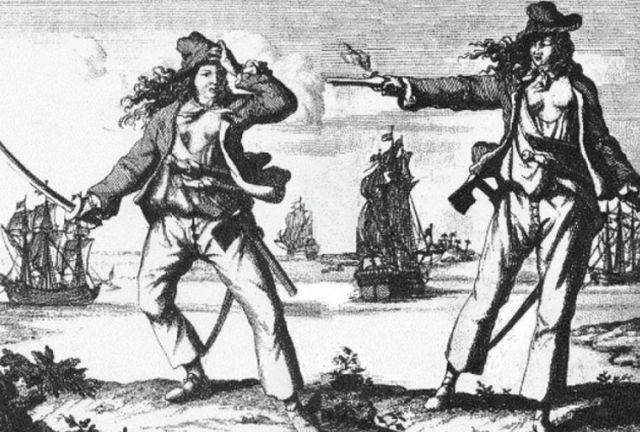 Grace O’Malley, or rather Gráinne Mhaol, is lauded as a “pirate queen,” “a most famous femynyne sea captain,” and “the dark lady of Doona.” She was lord of the O’Malley dynasty in 16th-century Ireland, owning up to 1000 cattle and horses, leading men on land and sea, and allegedly wreaking cruel vengeance for the murder of a lover. When her sons and half-brother were captured by the English, she met with Queen Elizabeth I and negotiated their release in Latin, while also teaching the court about disposable handkerchiefs. That’s nothing to sneeze at. 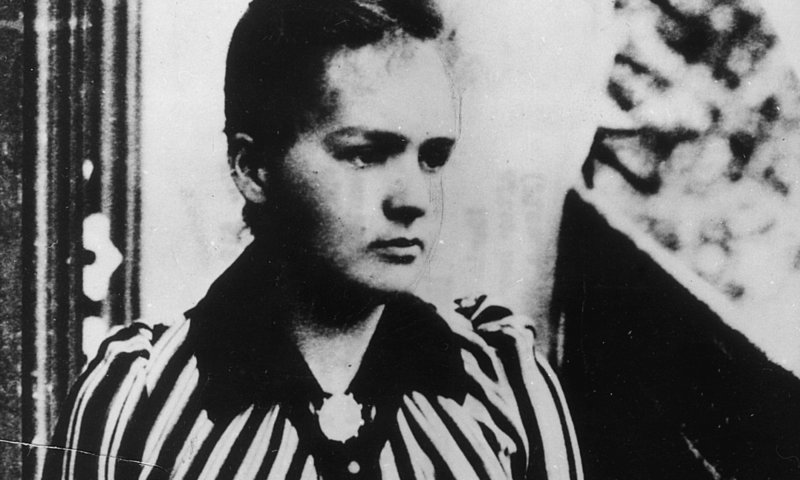 Our dead Berliner is Käthe Paulus, Germany’s first female airship pilot, a professional aerial acrobat, and the inventor of the folding parachute. On meeting a balloonist, she decided to learn how to pilot a hot-air balloon and perform parachute jumps. Having had his baby out of wedlock, she lost him in a ballooning accident and made a living for herself – and her mother, who she lived with throughout her life – flying balloons, airships, and planes, and jumping out of them, starting her own parachute production line during WWI. And yes, they have named a street at BER after her. A brand new podcast for 2018, produced and presented by Susan Stone. Listen to writer Jessica Miller talking about the surrealist artist Leonora Carrington and her really rather surprising life. Our theme music is “Little Lily Swing” by Tri-Tachyon. Thanks for tuning in! Check back in February for Episode 6. Our fourth and (so far) frothiest and festivest podcast, produced and presented by Susan Stone. This time it’s your beloved co-host Florian Duijsens revealing some lesser-known sides to the late, great Dorothy Parker. Plus the rest of the gang getting fizzy on a popular Berlin beverage. Also available on Soundcloud, iTunes, RadioPublic, and soon to come from other podcast purveyors. Here’s a young Dorothy, contemplating. Here she is with the Algonquin table crew. And a sad “awaiting the stork” photo. Watch A Star Is Born. Listen to an interview with legendary author and broadcaster Studs Terkel. Listen to “Big Blonde” in full, read by Cynthia Nixon. And Tallulah Bankhead reading the great “A Telephone Call”. And here are some of the accoutrements used in preparing the show. Speaking of The Portable Dorothy Parker, here’s The Portable Dorothy Parker. Enjoy. Our theme music is “Little Lily Swing” by Tri-Tachyon. Thanks for tuning in! Check back in January for Episode 5.